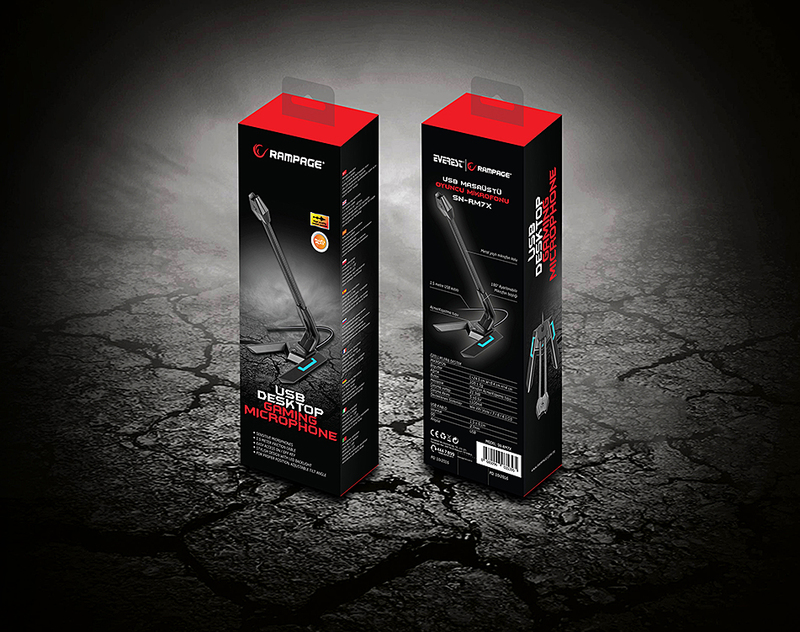 Snopy Rampage SN-RM7X Black Desktop Led Microphone; Keep your communication in peak performance and quality with this superb desktop microphone while playing your games! Make quality voice calls with other people while playing games. 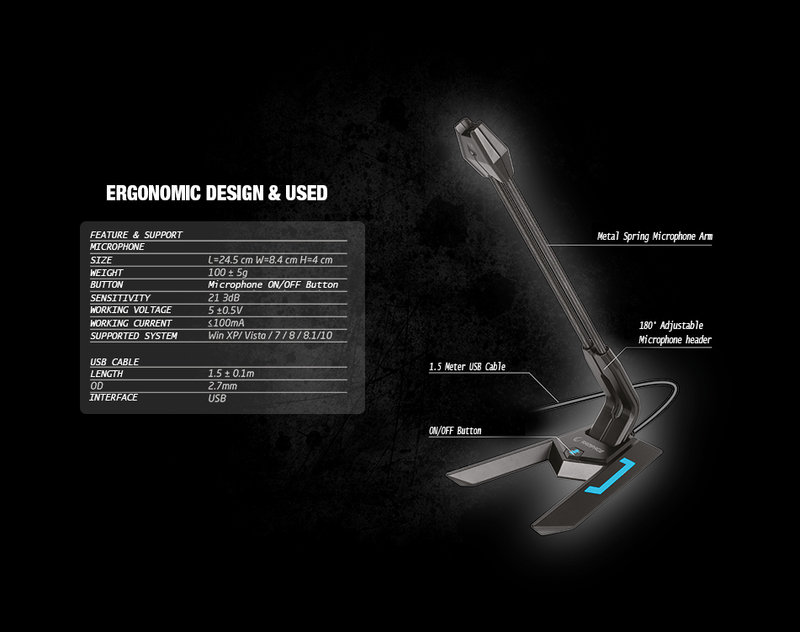 Adjustable microphone head up to 60º allows use at the right angle. 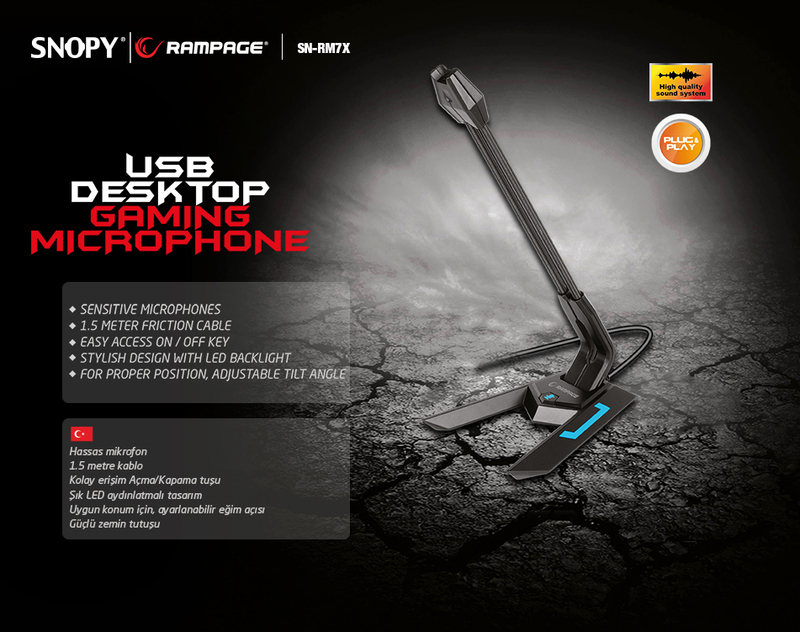 Snopy Rampage SN-RM7X Black Desktop Led Microphone; You can easily use it on desktop computers if you want a laptop through to the 1.5m long USB cable. The metal spring microphone holder has a durable construction and with its blue LED design, the SN-RM7X has a pleasant appearance.